Somebody asked. That would be the Consular/American Citizen Services (ACS) job at the embassy in Kabul? Um, no, did not. Did you see it? I heard that the job was posted some 5 days or so before bidding ended, and there reportedly was no announcement that this job is out there. Bidding ended last Wednesday, which means it popped up in the big job thingy listing late last week. How do you get people to bid on a job that gets listed just days before the deadline? Some HR guy forgot to list it on time? Forgot to send out the vacancy alert email? What? My neighbor probably could have included it in his bidlist; that is, if he knew it was there. Too late now; I think he’s going to Niger (no, not Niger he says) one of those African posts where something is always happening. The Court opinion says in part: Here, whether the defendant’s nondiscriminatory justification is called into question depends on whether one believes its contention that the inconsistent information was the result of innocent human error or, conversely, that the defendant deliberately sought to mislead the plaintiff. Andrew has been actively engaged with conservation and environmental organizations, at the state and national level, including The Sierra Club and the Indiana Natural Resources Foundation. Andrew has worked with The Nature Conservancy (TNC) since 1995, serving as an Indiana Trustee, and as a member of the TNC President’s National Advisory Council. Andrew also served as Special Counsel and Director for TNC in Arlington, Virginia. In her professional and community work, Andrew is experienced in creating, building and managing public policy initiatives in the environmental and clean energy arena. AFSA records indicate that 11 of the 17 ambassadors appointed to Costa Rica since 1960 had been non-career, political appointees. If confirmed, Mrs. Andrew would replace Peter Cianchette, a Maine businessman and former Republican gubernatorial candidate who was appointed US ambassador to San Jose in 2008. Before you get all excited about this being another “cushy” post, here is what the IG said about Costa Rica not too long ago: Costa Rica is in many ways a pleasant place to live and work, but it is not free of problems. The gap between expectations and the reality of living and working in Costa Rica is a primary factor in relatively low mission morale. One American said, “Costa Rica is perceived as being this vacation paradise, when in fact, it is difficult to live here, not to mention expensive.” Well, there you go. Don’t say I didn’t warn you. Ryan Scott McMonigle, 37, of Ponca City, Okla., was indicted today for his alleged role in a scheme to solicit kickbacks in connection with the award of a security services subcontract to protect U.S. government personnel and contractors in Afghanistan, announced Assistant Attorney General of the Criminal Division Lanny A. Breuer, Assistant Attorney General of the Antitrust Division Christine A. Varney and U.S. Attorney for the Eastern District of Virginia Neil H. MacBride. The U.S. Agency for International Development (USAID) is the principal federal U.S. agency that extends assistance to countries that are recovering from disaster, are trying to escape poverty and are engaging in democratic reforms. The agency works to support long-term and equitable economic growth and advance U.S. foreign policy objectives. 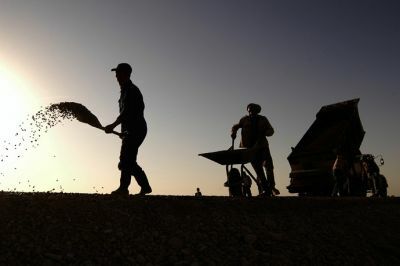 In August 2006, USAID awarded a $1.4 billion contract known as the Afghanistan Infrastructure Rehabilitation Project (the AIRP contract). The AIRP contract required the award of numerous subcontracts, including for the provision of security services to protect AIRP workers. According to the indictment, McMonigle was employed from approximately February 2009 until May 2009 in Kabul, Afghanistan, by Civilian Police International, a Virginia-based company that provides law enforcement training internationally. The indictment alleges that McMonigle, Bryan Lee Burrows and others conspired to solicit kickbacks from security vendors in return for favorable treatment for those potential bidders in connection with the award of a subcontract to provide security services to protect USAID personnel and contractors in Afghanistan operating under the AIRP contract. McMonigle is charged with one count of conspiracy to solicit a kickback and one count of aiding and abetting the solicitation of a kickback. Burrows pleaded guilty on Sept. 2, 2009, to conspiring with others to solicit kickbacks from the security vendors in return for favorable treatment for those potential bidders in connection with the award of a security services subcontract. If convicted, McMonigle faces up to 10 years in prison on the kickback solicitation charge and an additional five years in prison on the conspiracy charge, as well as a fine of $250,000 for each charge.